Utopia is often imagined as a desireable and elusive place. In Salon Fluchthilfe it is imagined not so much as a place (with borders) but as a journey or non-place (defined by its borderlessness). The German word Fluchthilfe has no easy English translation – it is a positive term used to describe those who help others cross borders to escape persecution (whereas English has only derogatory translations, such as people smugglers or human traffickers). 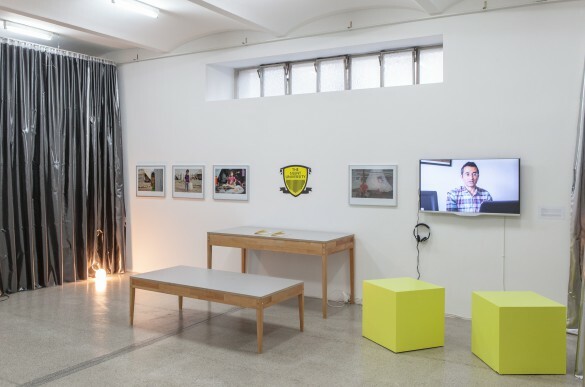 This exhibition is located within the politics of contemporary refugee struggles but aims to challenge the binaries of refugee/citizen that have framed this debate. 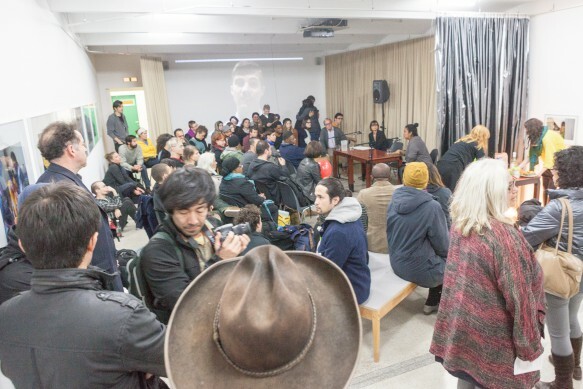 Salon Fluchthilfe eludes a neat connection to any specific identity by encompassing both refugees and their supporters who form an underground web of knowledge and support that allows bodies to move. Salon Fluchthilfe will explore the potencia of relationships based on hospitality, solidarity and reciprocity. 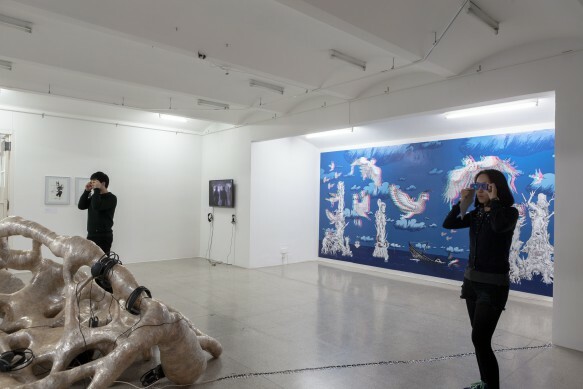 In a context defined by borders, camps and check-points this exhibition perversely explores the utopia of borderlessness. Talk by Clifford A. Erinmwionghae, Yusuf Haibeh and Katarzyna Winiecka, on current and past “Fluchthilfe”-trials against Refugee Activism and Selforganisation and the demand for Freedom of Movement. Lecture: “Who are Ezidi Kurds?”, Sherko Jahani Asl, The Silent University, Sweden. This lecture will provide a background on the traumatic situation for the Ezidi people who are currently being massacred by Islamist extremists in Northern Iraq. This lecture will uncover the “forgotten” Ezidi people, their culture, history and religion. Sherko Jahani is a political refugee from Mahabad, Iranian Kurdistan. He is a journalist, writer, human rights activist, Kurdish Language Teacher and photographer. Artist talk by Barat Ali Batoor. Batoor was born in Pakistan in 1983 in a family that was driven out of Afghanistan by the civil war. He returned to Afghanistan for the first time after September 11, 2001. Batoor started photographing in 2002 and launched his first solo exhibition in 2007. His works are published in journals such as The Washington Post, Wall Street Journal, Afghanistan Times and he was the recipient of a photography grant from New York’s Open Society Institute for the project “Child Trafficking in Afghanistan/The Dancing Boys of Afghanistan”. 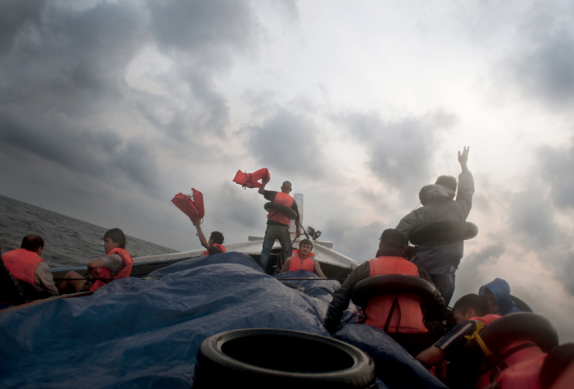 Batoor’s photograph “The first day at sea” was named the 2013 Nikon-Walkley Photo of the Year and he was awarded the 2014 Communication for Social Change Award by the University of Queensland. For this exhibition he will include The Unseen Road to Asylum, documentation of his own attempted journey to Australia by boat. The refugee protest movement mobilization in Austria and EU. A forum organised by Marissa Lôbo and Marina Gržinic. This forum will discuss how in the period after the Fall of the Berlin wall and 9/11 capitalist discourse has shifted from protection of human rights into a policy of bare life, seclusions and deportations of refugees and asylum seekers. 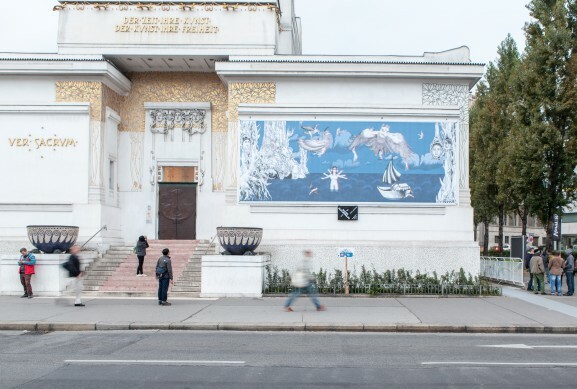 The refugee movement in Vienna in 2012 showed a power of self-mobilization and self-articulation. 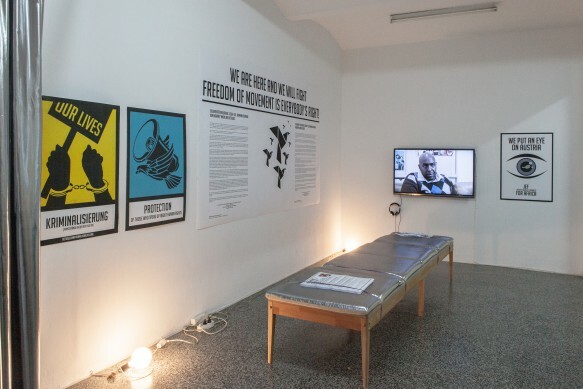 The self-organized refugee protest movement, that was supported immediately by many activists and students from the Academy of Fine Arts in Vienna, has been put under harsh pressure and criminalization procedures. After almost 2 years here it is again another possibility to speak in public providing an analysis what was done and what is to be done. Discussions will include the reproduction of white supremacy within the Refugee Protest Camp Vienna, the methods of criminalization of the refugees by the Austrian state repressive apparatuses and the hypocrisy of EU politics.